The results (153Mb file) are in and for the second year in a row Chestnut Ridge takes home the gold! DuBois and Brookville followed to take the silver and bronze respectively. Thanks to everyone who came to our tournament to participate or just to watch the action! We look forward to seeing you again next year. The results are in and Chestnut Ridge takes home the gold! Team scores, completed brackets, a list of the place winners, 75-110 lb bout sheets, 115-250 lb bout sheets, and a list of bouts by team are available on their respective links. Thanks to everyone who came to participate or watch! We look forward to seeing you next year. Sixteen teams competed in the annual classic with lots of excellent wrestling to be enjoyed. The team Scores, place winners, brackets and bout sheets are all available for download by clicking on the desired link. Thanks to all teams who participated this year and we look forward to seeing you again next year! This year DuBois had an outstanding day to decisively take top honors. Links to the various files are below. Our thanks to all of the teams who participated in this year’s contest and those volunteers who made it a great success. We look forward to seeing you back next year! Again, receiving the Bearcat Award tonight is Matt Norris. 20, 30 & 40 Win Clubs – We started these yearly clubs a few years back to set a bench mark of excellence that wrestlers would work hard to achieve…once again enabling our wrestlers to work to reach attainable goals. This year we had 3 (20 Win Club) members and 1 (30 Win Club) member and 3 (40 Win Club) members. Is a senior on the team. 1st year (LETTER) (8) – Chris Hoover, Izac Benson, Warren Shope, Trent Sheaffer, Drew Simpson, Landon Fisher, Jacob Edwards and Brady Shope. 2nd year (PIN) (4) – Johnny Kline, Tyler Scott, Seth Baney, Jacob Oliver and Tanner Kocik. 3rd year (PIN) (4) – Collin Glorioso, Jon Wagner, Logan Fisher and Matt Norris. District Place winners/Regional Qualifiers – Izac Benson 5th, Matt Norris 5th, Seth Baney 5th, Tyler Scott 4th, Jon Wagner 3rd, Collin Glorioso 1st and Jacob Oliver 1st. Regional Place winners/State Qualifiers – Seth Baney 6th, Jon Wagner 5th, Jacob Oliver 2nd and Collin Glorioso 1st. State Place Winners – Jon Wagner 6th and Jacob Oliver 2nd. Izac Benson, Collin Glorioso, Seth Baney, Drew Simpson, Jacob Oliver, Jon Wagner and Logan Fisher. Congratulations to all of our wrestlers for a fantastic season! We all look forward to seeing you next year. Philipsburg-Osceola Match to be Broadcast Live! Comments Off on Philipsburg-Osceola Match to be Broadcast Live! Our match with Philipsburg-Osceola (December 18) will be broadcast live on The A.I.R. Network. The pre-match show begins at 6:45 p.m. Visit their website now to hear a great interview with Coach Mykut! The results are in! Chestnut Ridge took top honors at the tournament, held December 6th, 2014, with Muncy following at number two. 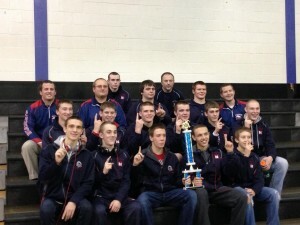 The Bearcats started the tournament season in style this weekend, placing 12 of 14 wrestlers and winning the team title. The team was 20 points over the #2 team: Berlin Brothersvalley. 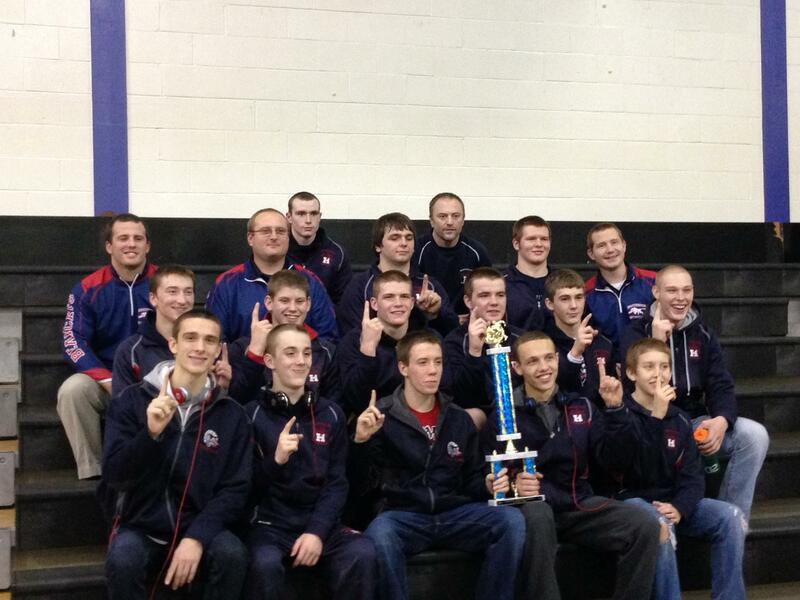 Champions at this tournament were Colin Glorioso @ 113, Jacob Oliver @ 145 and Matt Norris @ 182. Runners up are Devin Green @ 132 and Nathan Russell @ 138. Complete tournament results are available here. Thanks to all who attended or participated in our annual tournament. We had a great time hosting the event and appreciate everyone who helped make it a success. Results for the evenint can be found here. •D.C. Goodman & Sons, Inc.
•New Enterprise Stone & Lime Co., Inc.